Beautiful! It was pretty before, but now it's a masterpiece. And I'm very jealous of your drawer of lace! Just lovely! I dye muslin all the time. Where did you get your box for the lace!! I like what you did to that top! I looks prettier now! Just your style! And I can imagine you spending a peaceful afternoon transforming this little gem. Thanks for the story. Wow, did you do a fabulous redesign transforming this top. Incredible! Thanks for the inspiration, as I need to visually do more of that with my clothes and not just with my vintage redesign jewelry that I currently work with. How Fun! what a lovely top ! PS I see that we were both published in the same magazine, how fun ! Love it, Paulette! The airy collar lace is especially gorgeous. You really made it yours! p.s. just nominated you for a 'liebster' award... on my blog. What a wonderful talent you have to transform an already pretty piece of clothing into altered couture. I have done coffee staining before, but only had the guts to do it on a scarf. I wanted to let you know that I loved your altered brown bag featured in the Fall edition of Somerset Life. You inspired me to do my own version, that I blogged about and made sure to give you a little shout out: just passing along the blog karma. Wow! Definitely a creative transformation! Wow, you did a beautiful job in making an already pretty blouse into a masterpiece! I am now a follower of your blog. Thanks for stopping by my blog & your sweet comments. Come by & enter my giveaway! What you have done here is truly a work of art. It is truly so beautiful! Gorgeous!! It was pretty before but now it is amazing. It was beautiful before, but it looks stunning now. I might just have to steal your idea! 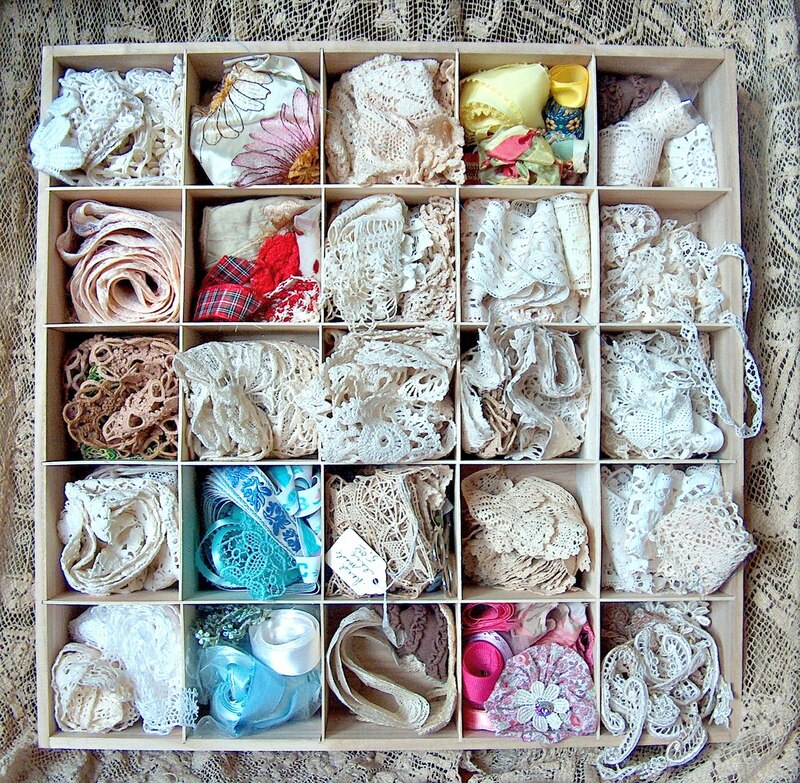 Thanks for sharing, I'm off now to check my lace stash! Really beautiful, but do you have a problem with a coffee smell on the fabric afterwards? how about fading when cleaned? lovely lovely top!